Fountains have always been a part of village life. 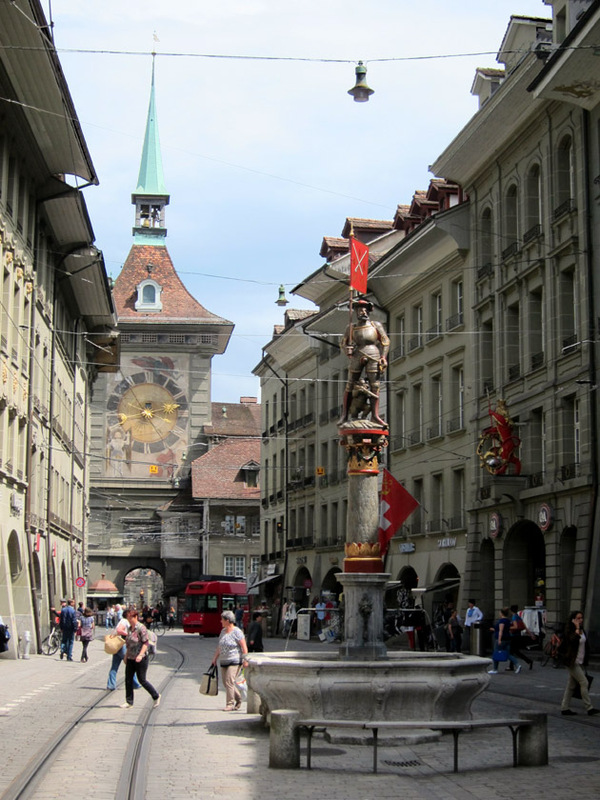 Medieval urban centers have always centered around fountains. This public plumbing was essential for daily life and was visited by residents very frequently. As a central gathering point, these fountains were places for news, gossip, business, and, very importantly, water. Embellishing the fountains was a matter of civic pride and beautified the city. The Knight Fountain just beside City Hall. 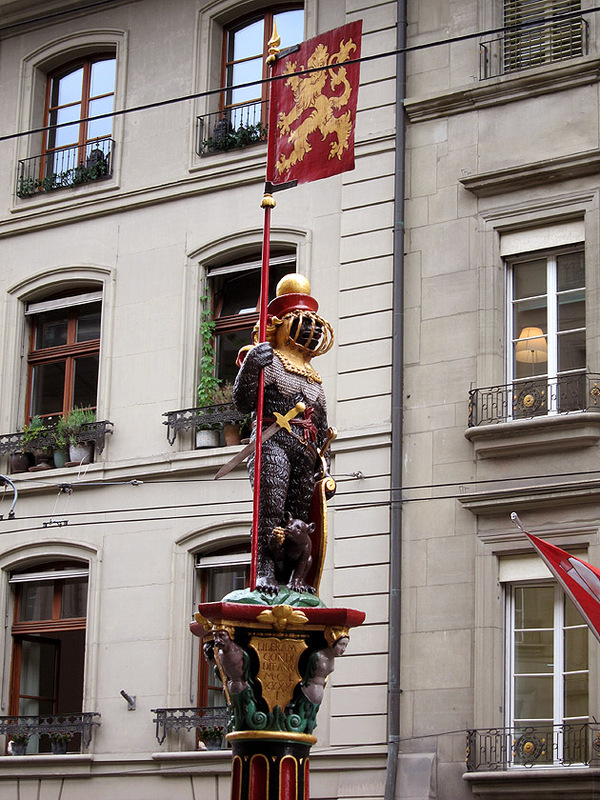 The eleven great fountain statues of Bern date to approximately 1542 – 1546. This was a period of urban renewal and growth for the city. 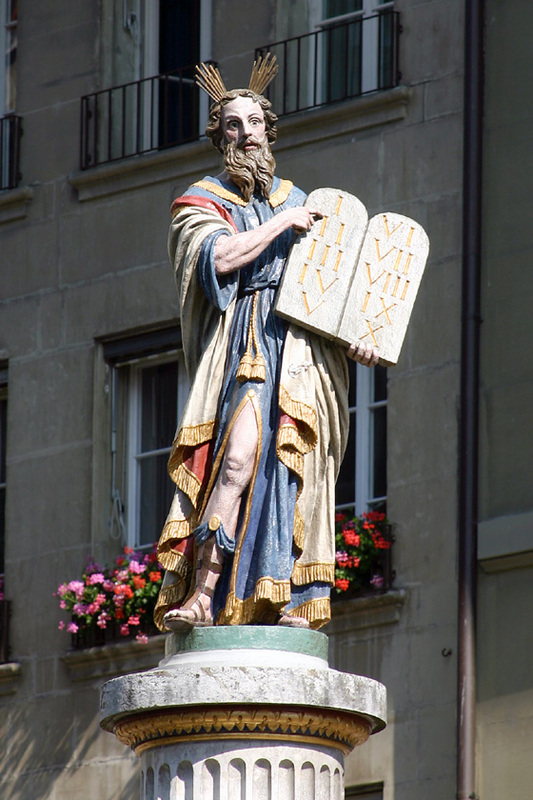 Town leaders commissioned these statues which include allegorical figures, beloved warriors, and Biblical characters. The figures were originally brightly painted and have been maintained in this state for centuries. Located at the intersection of major streets or in squares, it is hard to miss these gorgeous fountains. 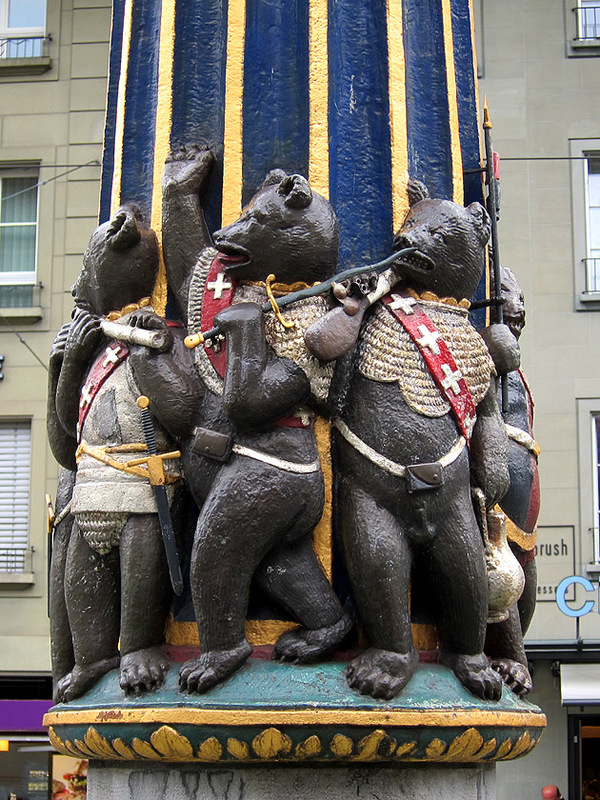 The Warrior Bear fountain is a tribute to the founding family of Bern (the House of Zähringen). 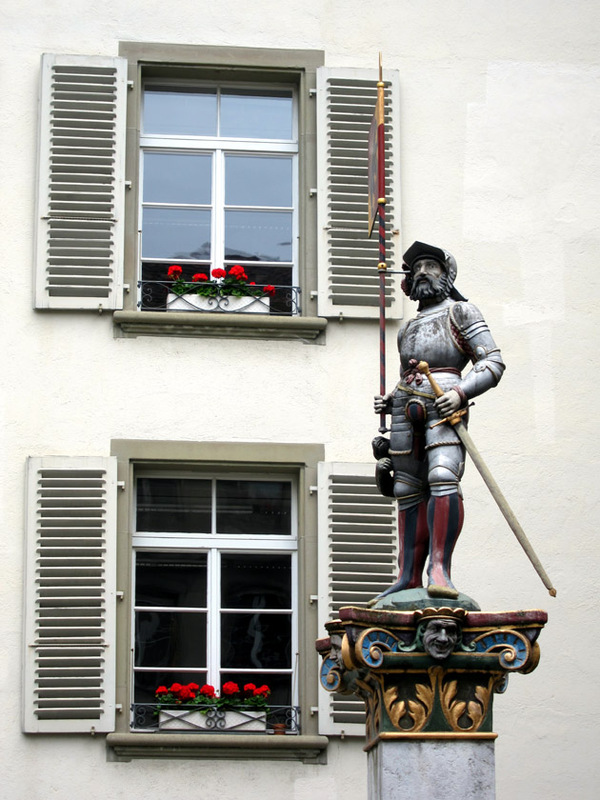 Mercenary, or Marksman Fountain comes with a hunting bear at the man’s feet. 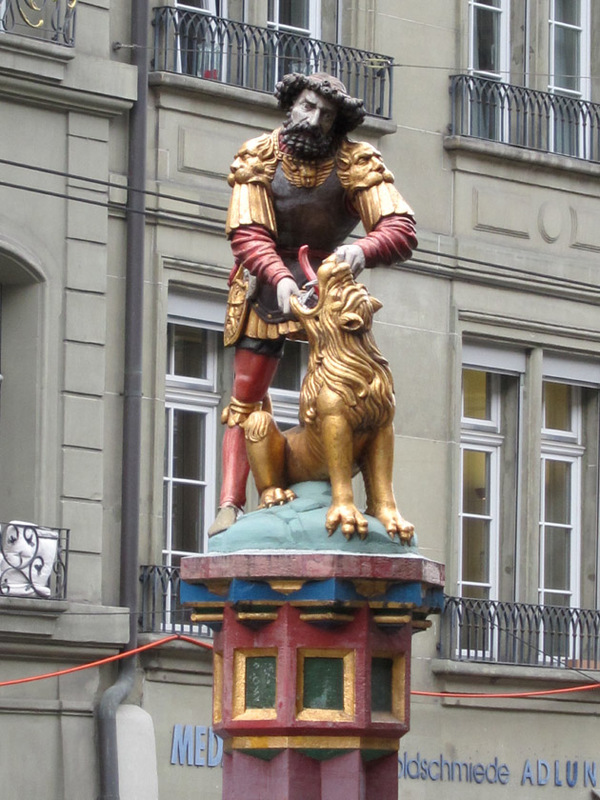 The Samson Fountain recounts a scene from the Book of Judges in which Samson kills a lion. 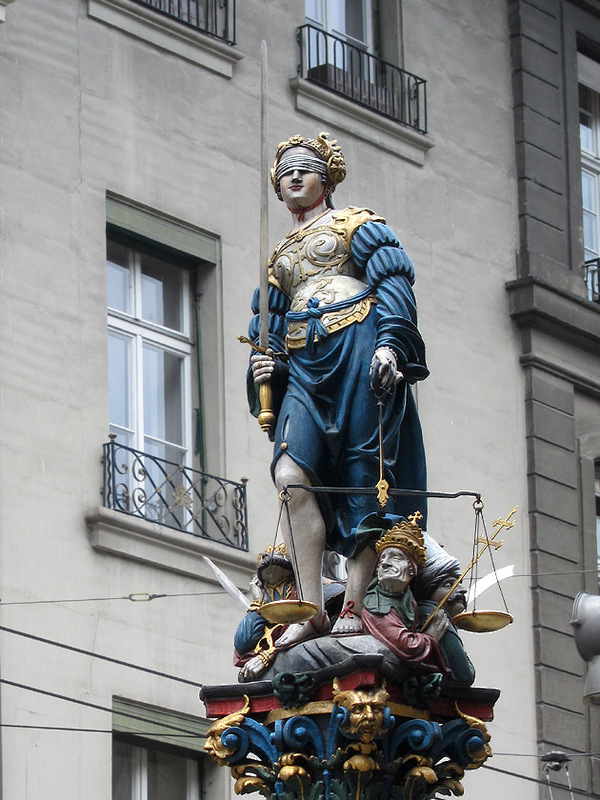 The Justice Fountain – Note the portrait heads of a Pope, Sultan, Emperor, and Mayor at her feet. 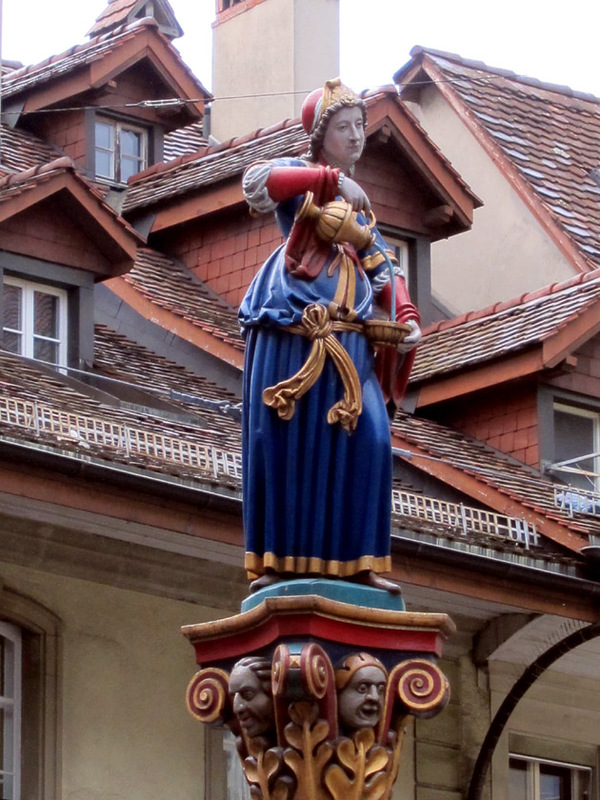 The Anna Seiler Fountain was constructed to honor a 14th century noblewoman who provide for the construction of the first hospital in Bern in her Will. 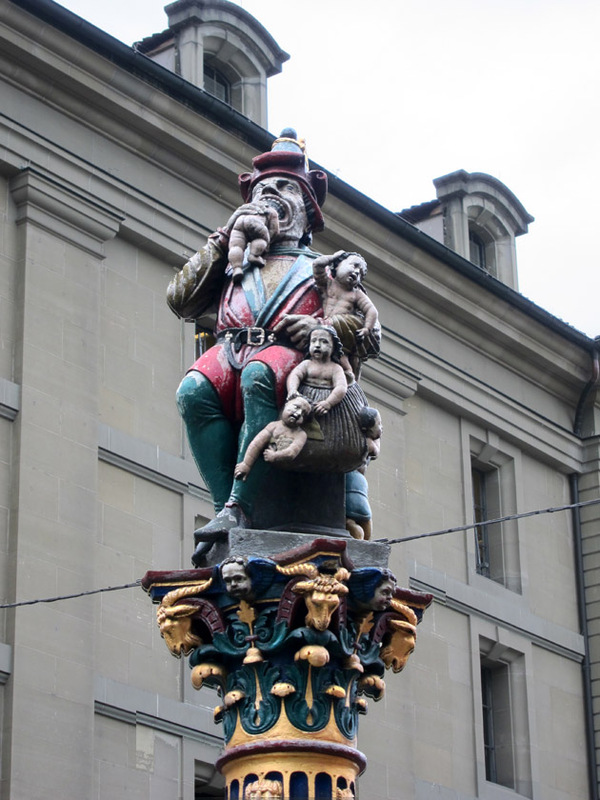 The Ogre (or Child-Eater) Fountain is a strange sight just beside the tram station. While there are several theories about the identity of this character, the net effect is to warn children to behave! Of course not all the fountains have statues, but many of them are decorated. Capped by these impressive statues, the water spouts are simple by comparison but have their own entertaining flourishes. Even the pedestals and lower sections of the statues are entertaining. Details vary from the whimsical to the comical. 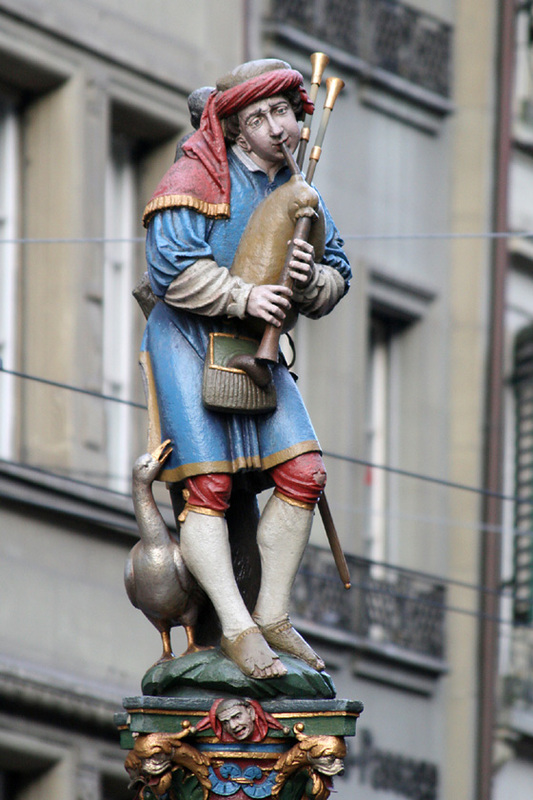 The decorated fountains of old Bern were so unique. I was captivated by their elegant Northern Renaissance design, playful subjects, and magnificent presence. 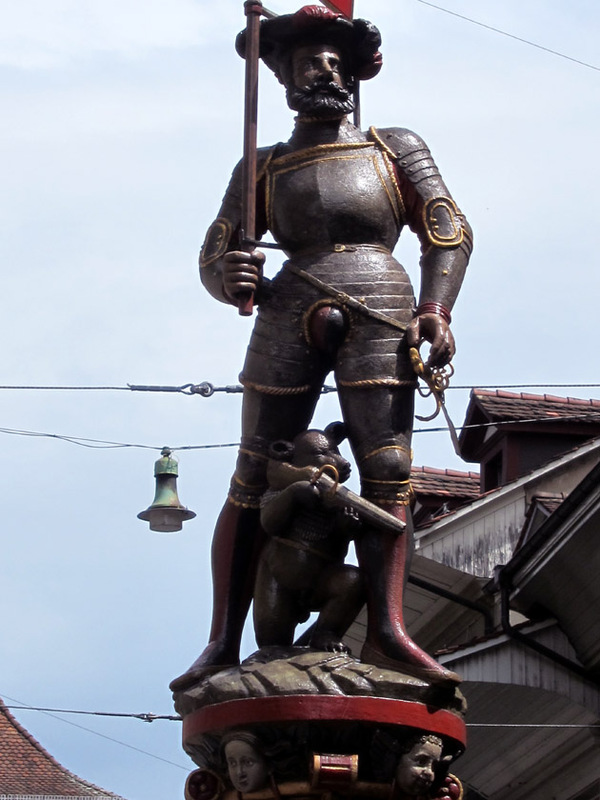 These statues must have been so important to the citizens of Bern and a great source of pride. It’s one thing to draw your daily water from a city fountain; it’s something quite different and far more special to get this water from a fantastic work of art. 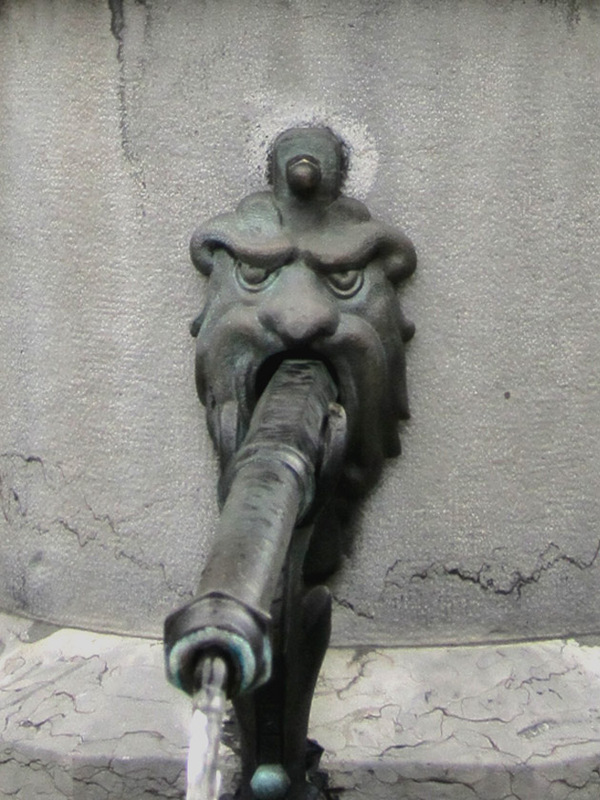 The decorative fountains really make Bern special. Marvelous way to look at the city! 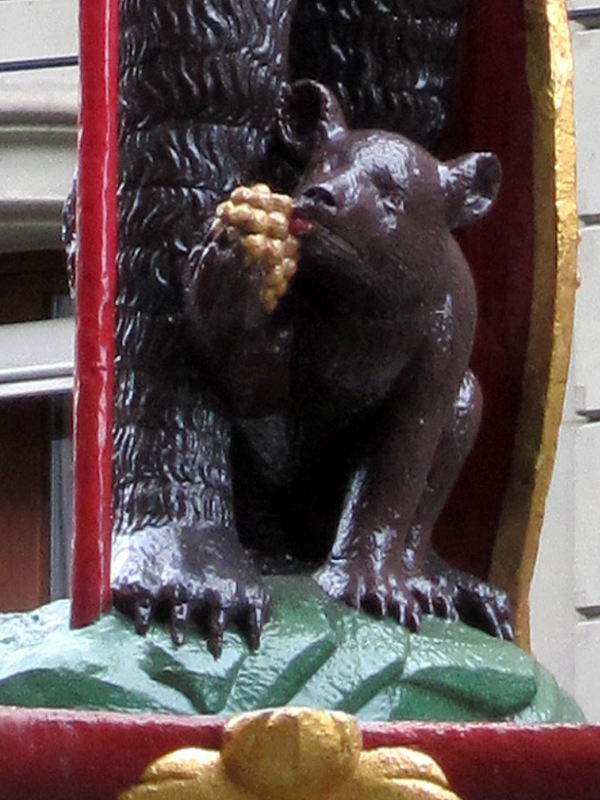 We have never been to Bern, but this post provides an excellent way to make the town accessible to kids. Nice post. Thanks! 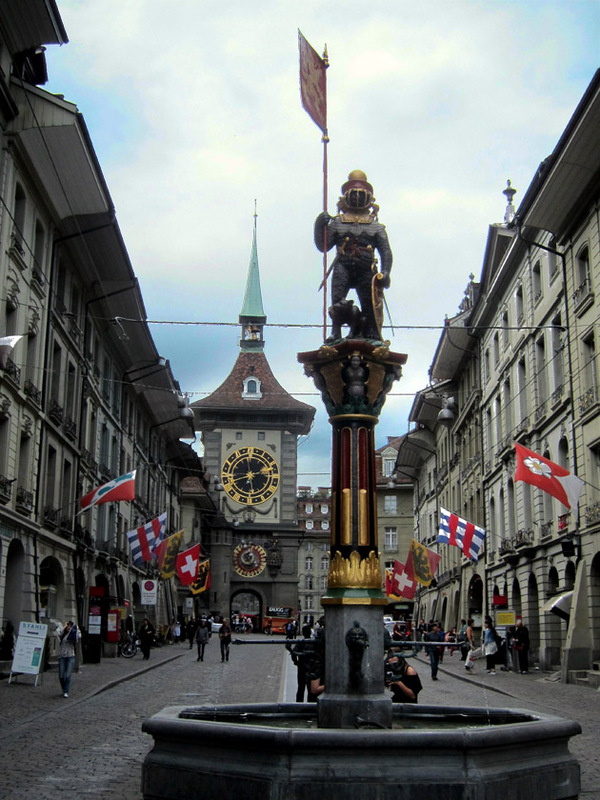 Bern is such a great city to explore. Kids would probably love spotting the “hidden” bears in these fountains. I hope you and your family are able to make it there soon! Great take on the topic of this month’s ArtSmart roundtable, Christina! Whereas many smaller fountains often seem to be overlooked, I can imagine your eyes were drawn to these, they are beautiful! Thanks! 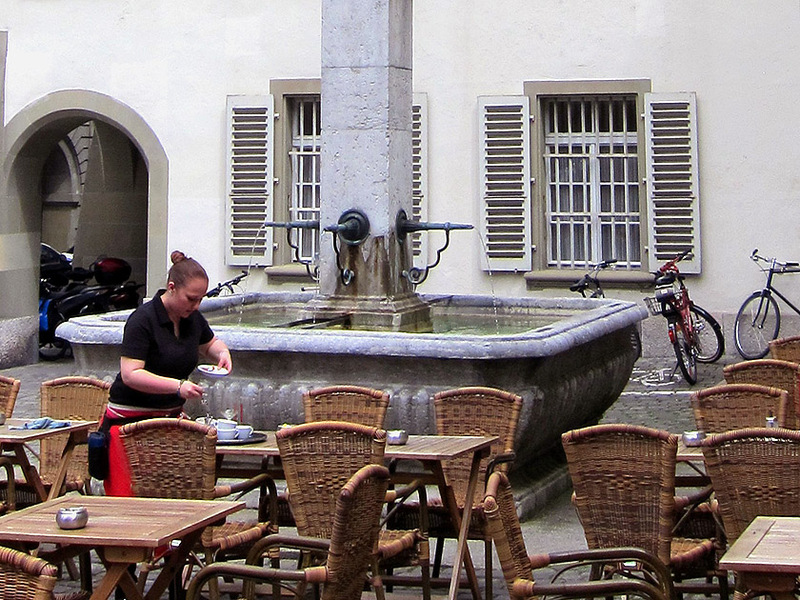 Given how many there are, it would be hard to miss these fountains in Bern. 🙂 But it would be easy to lose them in the overall aesthetic of this beautifully preserved old city. I think they are fantastic and needed some attention on their own! Wow, I’ve never seen fountains like these before. What a fun and pleasant decoration to have around a city. Thanks Jenna! They really are a great piece of the old town and really add a lot of historical and artistic value. How cool. Shockingly I am not too familiar with Bern. These statues are too cool and well preserved! The animals are certainly my favourite aspect as well as the vibrant colours. Great photos. 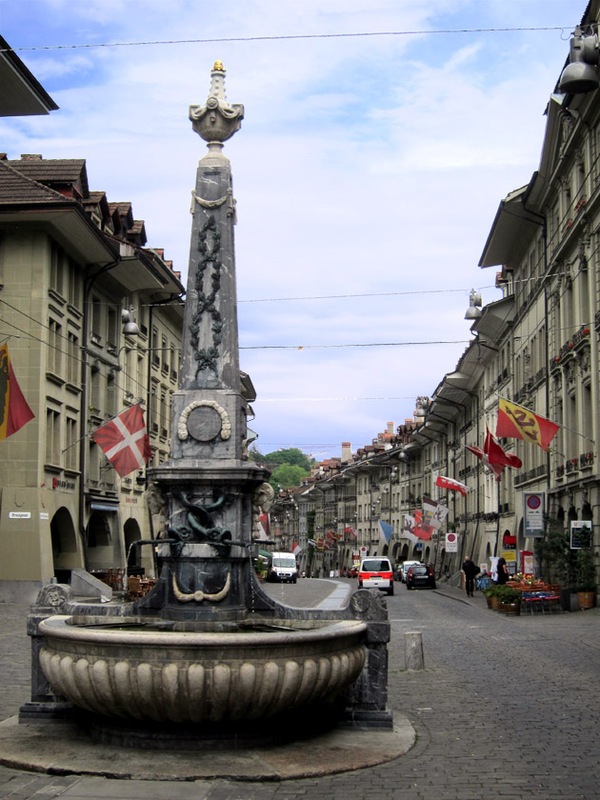 The fountains were definitely one of my favorite things about Bern. And the Ogre Fountain is is irresistible!